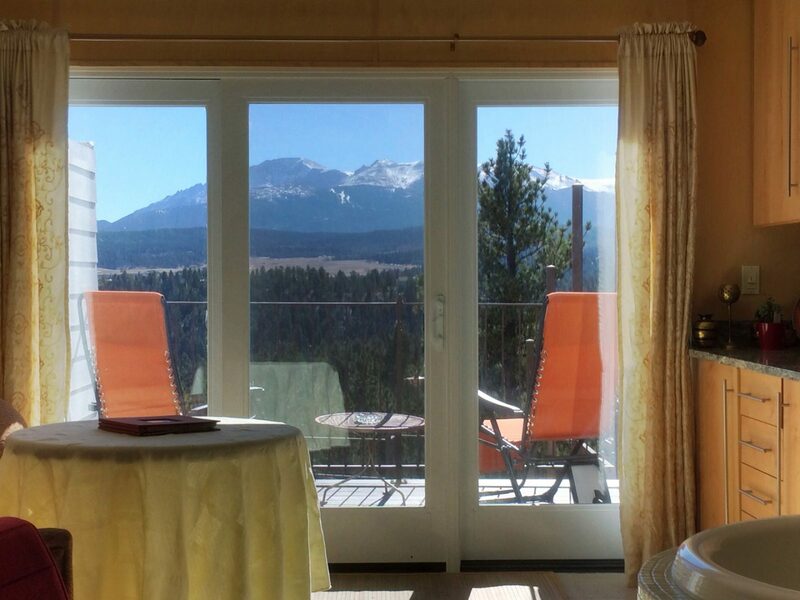 Pikes Peak Paradise’s offers updated modern suites with in-room hot tubs and the BEST 9000-foot secluded, panoramic view of Pikes Peak. 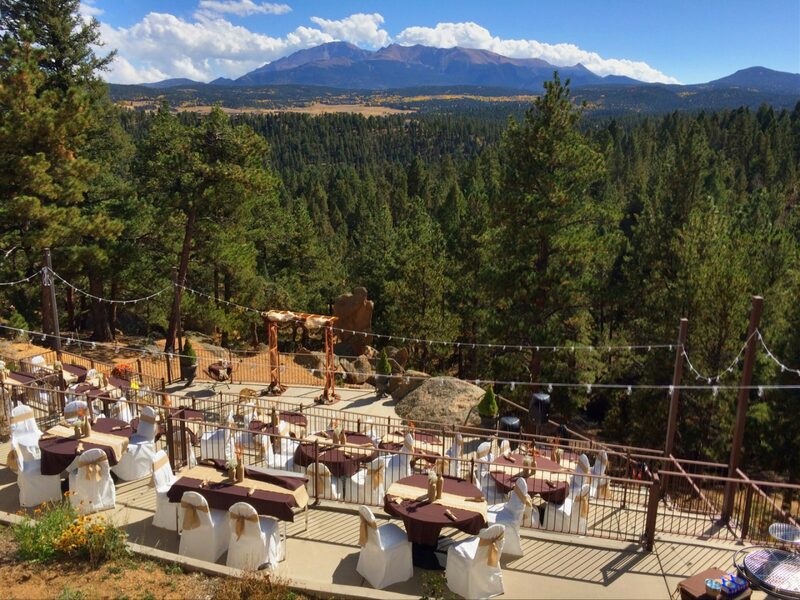 This one of a kind bed and breakfast is a romantic getaway with a breathtaking view of Pikes Peak and one million acres of Pikes National Forest. 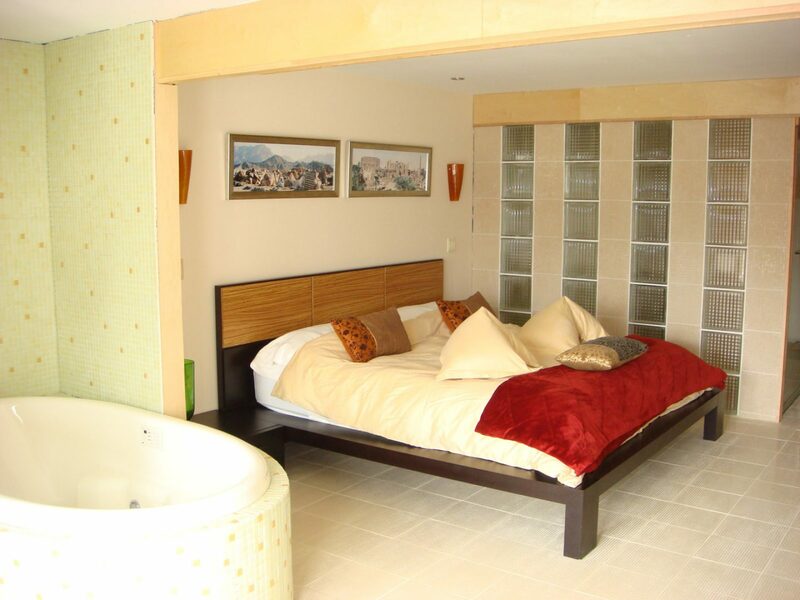 Beautifully decorated in imported Euro modern furnishings and a fine art collection. 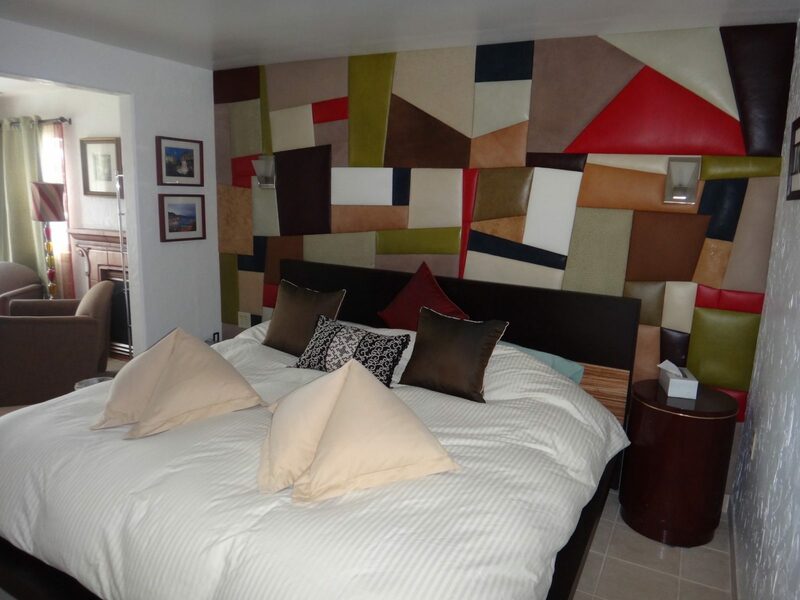 The updated suites include brand-new 1500-thread-count linens, down pillows, down comforters, duvet covers, Egyptian cotton towels, and Spa Robes. 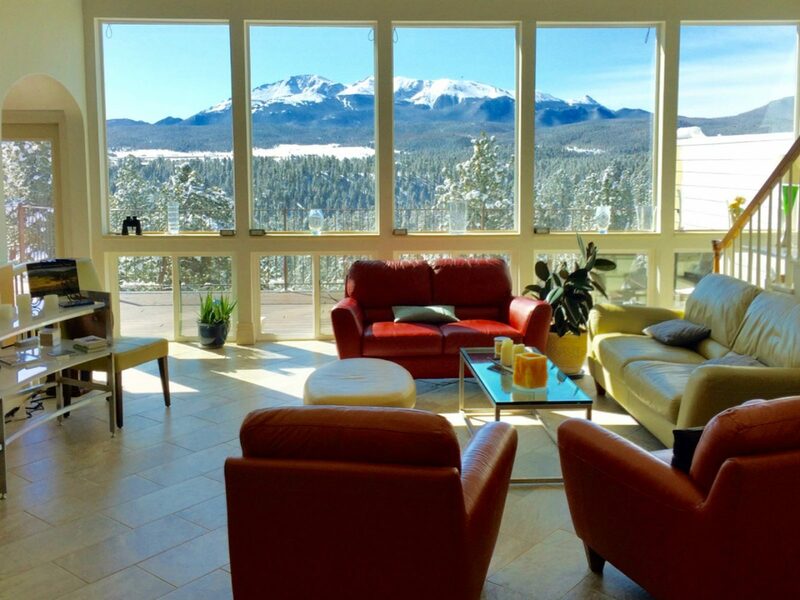 Luxury amenities include private in-room, two-person Jacuzzi tubs, hot tubs, baths, fireplaces, and decks. 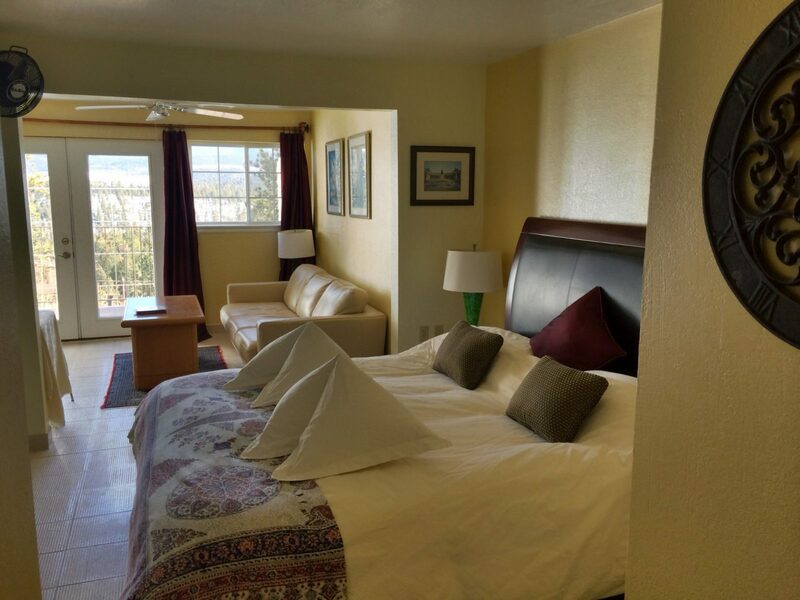 They offer WIFI, flat-screen TVs, CD/DVD players, romantic music, and more than 1,300 DVD movies. 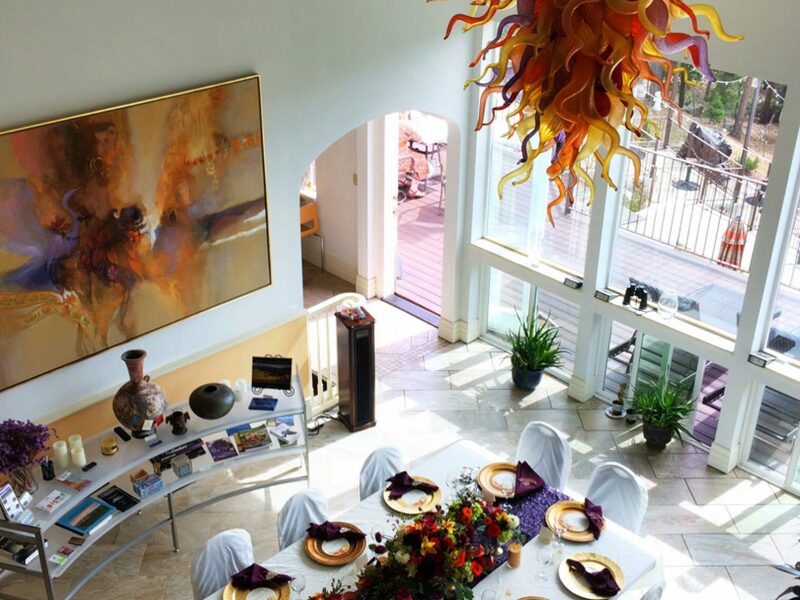 In addition to their gourmet breakfasts, they offer snacks and soft drinks throughout the day, dessert in the evening, plus four hours of complimentary beer/wine! 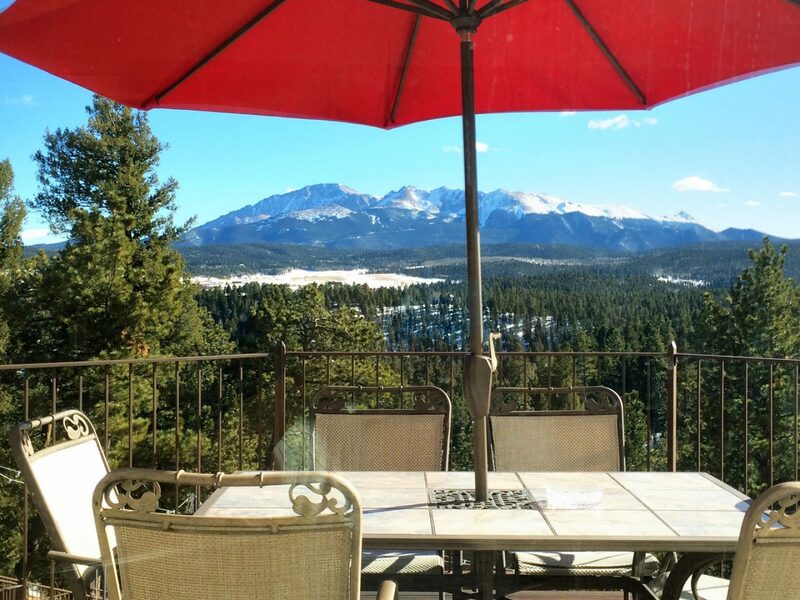 Pikes Peak Paradise is located in the mountains, yet only 10 minutes to local restaurants and shops in Woodland Park. 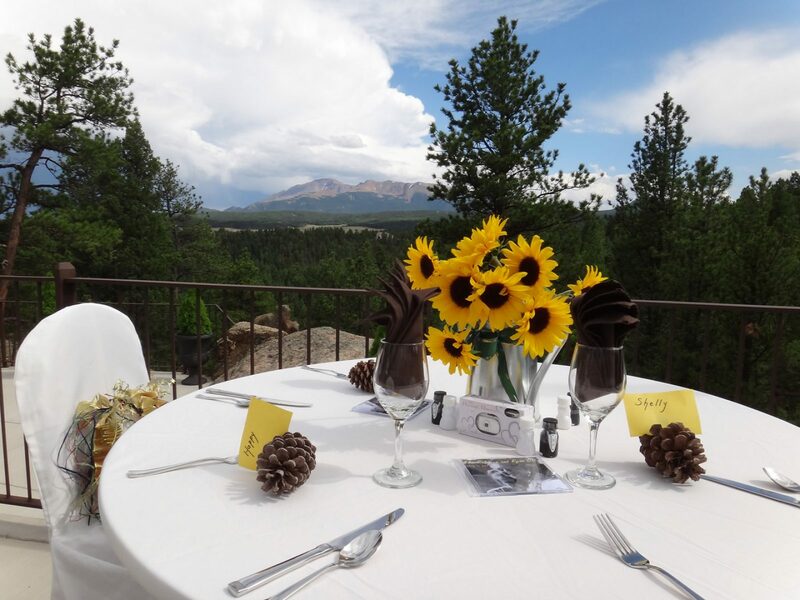 Colorado Springs residents say they felt like this was a TRUE GETAWAY yet only 30 minutes from downtown Colorado Springs.